HomeAviation Safety / Air CrashesUSMC F-35B Lightning Crashes Near MCAS Beaufort, South Carolina: Pilot Ejects. An F-35B Lighting II aircraft lands during a training exercise with Airborne Tactical Advantage Company aboard Marine Corps Air Station Beaufort, April 14. The Marine Fighter Attack Training Squadron utilized ATAC to train their pilots in anti-aircraft warfare. ATAC provided the adversary air presentation for VMFAT-501. The F-35B is with VMFAT-501. 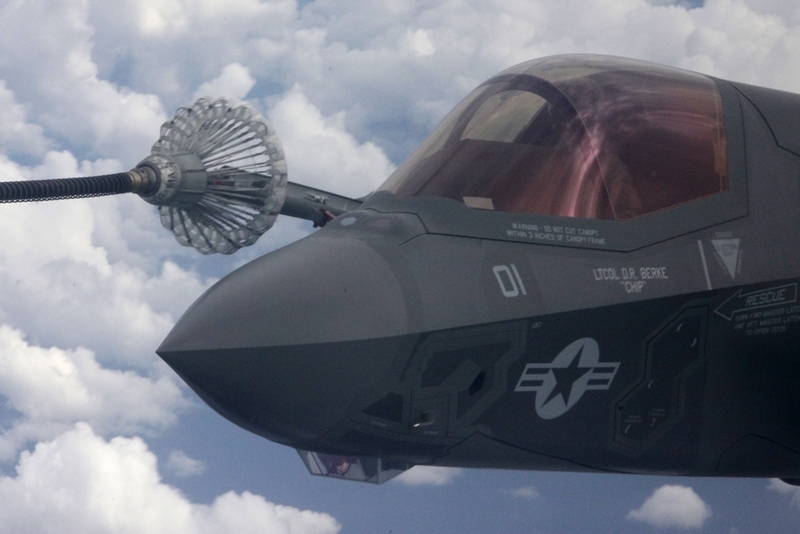 Details of First-Ever F-35 Joint Strike Fighter Crash Are Developing. A U.S. Marine F-35B Lightning II Joint Strike Fighter has crashed near Beaufort Marine Corps Air Station outside of Beaufort, South Carolina on the U.S. East Coast. Reports indicate the pilot ejected from the aircraft. His condition is not known at this time. MCAS Beaufort is home to Marine Fighter Attack Training Squadron 501 (VMFAT-501), the “Warlords”. The unit is a training squadron equipped with 20 F-35B Lightning II aircraft and serves as the Fleet Replacement Squadron. This first-ever crash of an F-35 Joint Strike Fighter comes only one day after a U.S. Marine F-35B flew its first operational combat mission over Afghanistan.